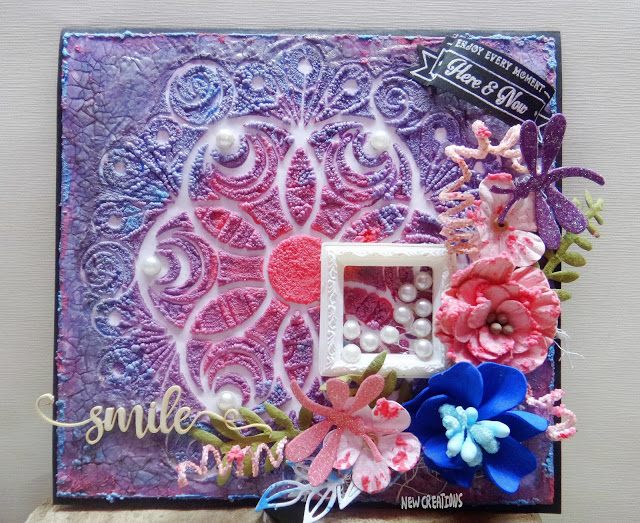 Prika: Embossing Texture in Mixed Media Layout by Vinita Jain! 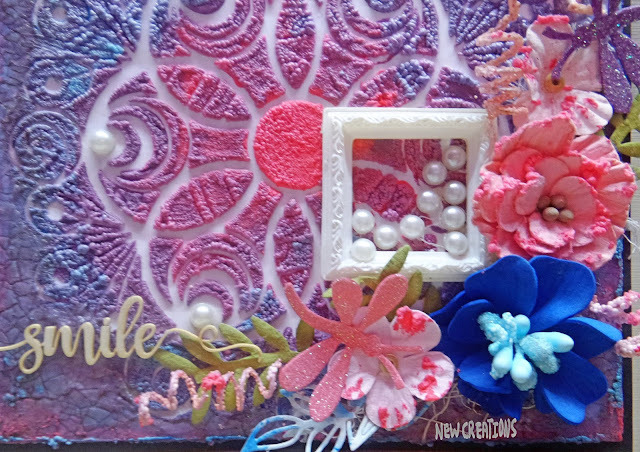 Embossing Texture in Mixed Media Layout by Vinita Jain! I used my Peacock doily stencil with two colors of embossing texture paste on a piece of heavy white sheet measured 10"x10" and covered the whole sheet using a palette knife. 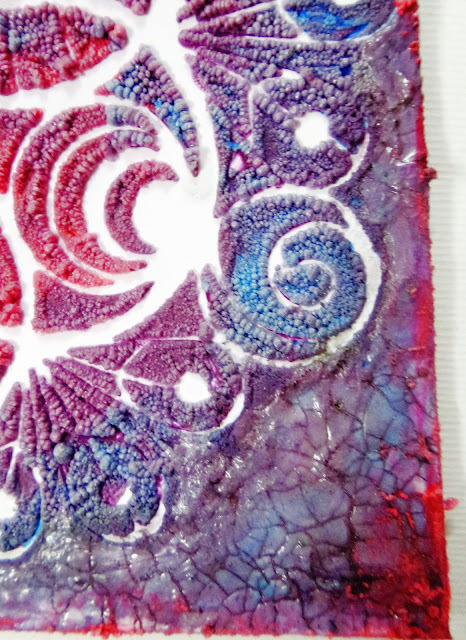 You can let it be dry in their usual colors but here I quickly heat embossed before drying for the texture results! Below are the procedure and pics. Oh my my, beyond imagination, it pops like popcorn after heating, changed the colors to soften side. So magical, dreamy and while touching by hand you will feel it very soft. It looks really cool in real life! 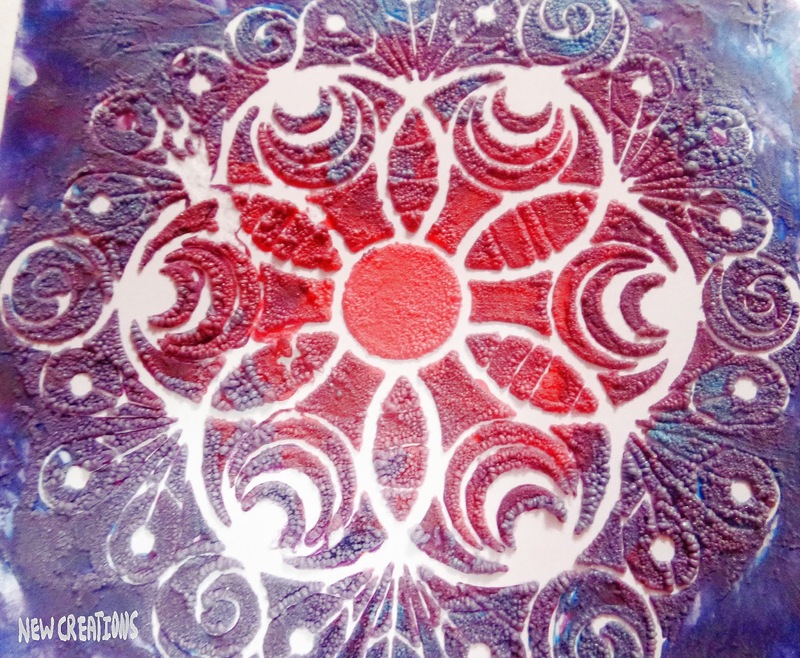 On all outer sides of the stencilled doily, I applied two steps crackle medium and highlighted the crackles with plum chalk paint and lightly covered it with silver pigment ink too and wiped off the extra with a paper towel. Die cut some flower from blue Foamiran and added pollen to it. The sentiment is heat embossed with bright opaque white EP on a snippet of black strip and fussy cut it. 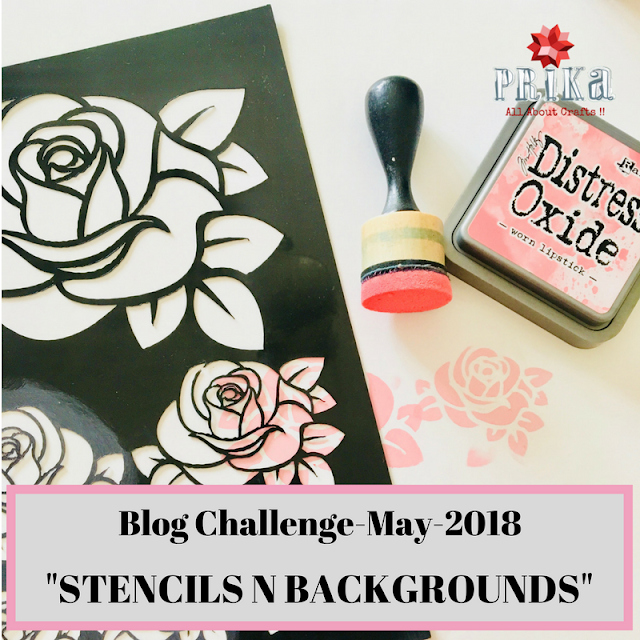 Die cut a leave and added loose watercolour with Zig. 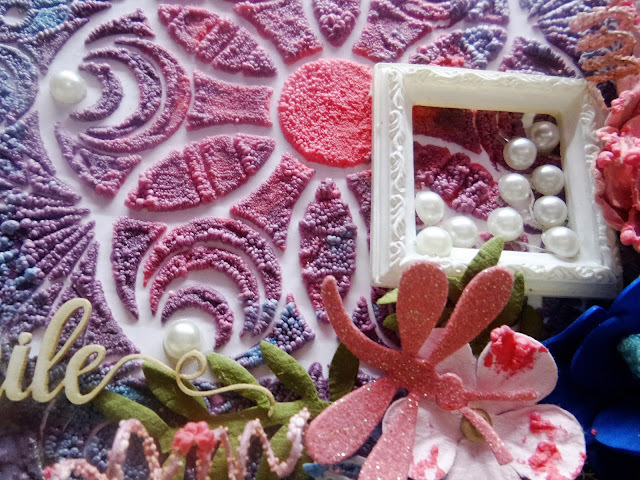 Now arranged the whole composition using a resin frame with pearls and all other embellishments. 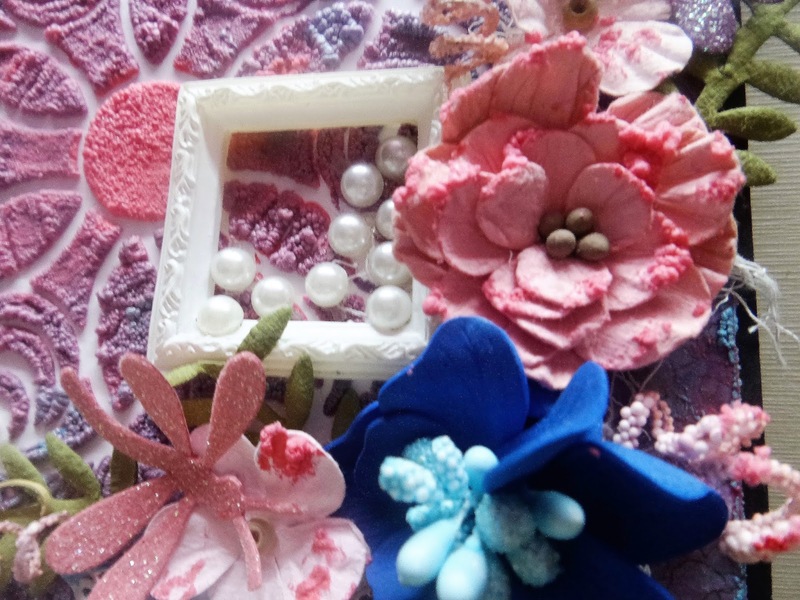 I applied some texture paste on all sides, heat and some other embellishments too, heat embossed them. Placed the panel on a black cardboard. Added a chippie sentiment to finished it off. 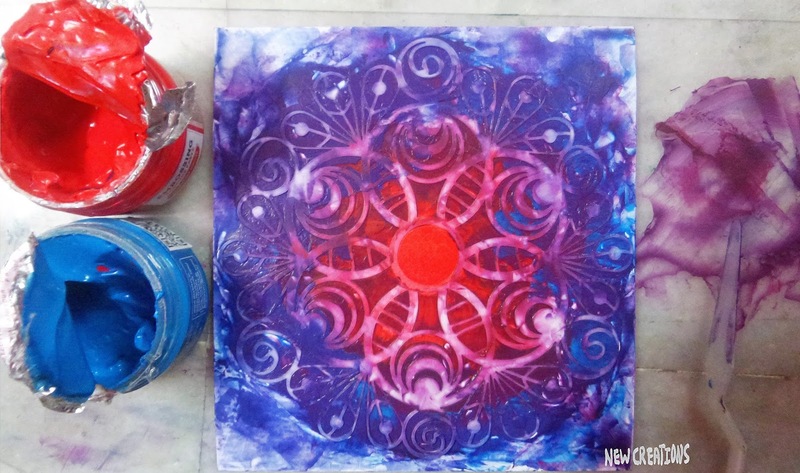 Hoping you enjoyed this project!! !